Anixter International has joined the SDVoE™ Alliance as an adopting member. 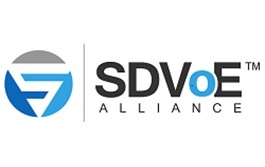 The SDVoE Alliance is on the forefront of developing next-generation technologies for the A/V industry. ComNet designs, builds and delivers connectivity and communication solutions optimised for needs of modern smart cities. Download the infographic to see how it all fits together. These readers recognize magnetic stripe, proximity, smart card and NFC-enabled smart devices, ensuring a seamless transition to high-security smart technology in the future. 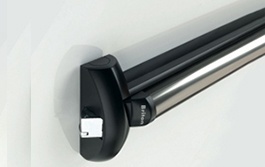 Allegion presents the panic exit device with access management. 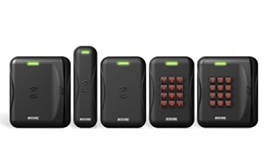 Learn more about Briton 571 EL, a device with an electrically powered opening mechanism. Smart cities are rolling out Intelligent Transportation System initiatives to improve quality and management of transportation. PoE++ will have a substantial impact on this transformation. 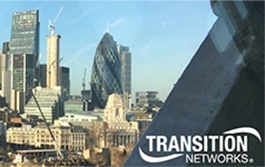 City authorities and transport operators want to better understand the usage patterns of all transportation modes in order to sustain increasing utilization levels and guarantee passenger safety. 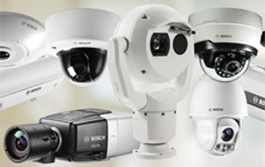 It's difficult to select the right video surveillance solution with so many options available. Bosch has multiple online tools that can help. With a unique combination of discretion and built-in IR illumination, this camera delivers the wide-area coverage and flawless detail you expect from a high-performance PTZ. 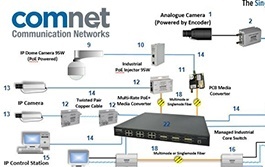 Transceiver-based solutions add more lanes to your network without the cost of expensive switch and network upgrades. CommScope's expertise and innovation in network infrastructure offer solutions to the complex challenges of healthcare environments. Copper Promotion Extended to June 30! The Corning Copper Promotion has been extended until June 30, 2018. Act now! One of the fastest growing trends in fiber networks is the use of MPO connectivity. The MPO experts at VIAVI have compiled materials to help you come in first. Watch the video and download the white paper on CommScope's advanced base station antenna technology. The AG 6000 extends bandwidth for Wi-Fi and/or wired networks that supply public internet access, scaling up to 8,000 simultaneous devices.